For many, the first day of fishing season is also Opening Day of Spring. 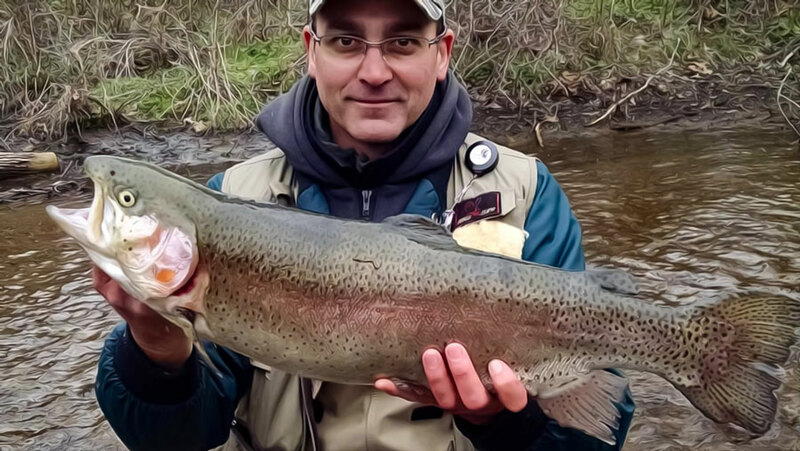 Early April water is cold, high, and fast, but even the most severe conditions cannot deny dedicated fishers their place streamside early Saturday morning (April 7 in 2018), when a fresh and feisty generation of stocked rainbow trout become fair game. Six-hundred-thousand of them, to be more precise, each born and bred at the Pequest Trout Hatchery and Natural Resource Education Center which lies on a 5,000-acre state Wildlife Management Area between Route 46 and Pequest Road in Oxford. The hatchery is open year-round for visitation, although the best time to see the actual fish-raising operation is from October through May, when the nursery building is open. In the fall, eggs taken from breeders hatch into larvae that are brought into the nursery in yolk as sac fry, where the juvenile rainbows are nurtured until spring, when they move to the outdoor raceways for a year of growth before entry into the waterways of New Jersey. The nursery building at Pequest (above) contains close to a million fry (only rainbow trout) hatched in the fall. With attrition this is the supply for all 600,000 state-stocked trout in New Jersey. The fry come from eggs from breeders hatched in buckets brought out in yolk (sac fry). They are sorted periodically through the year; some by size, some are more aggressive, or by differences in metabolism. In the spring the fish move to raceways (below) and enter stock 18 months later. The Pequest facility also includes a Natural Resource Education Center for environmental education, where visitors develop the behaviors and skills necessary to become stewards of wildlife and natural resources through programs for families, scouts and other groups. The annual Open House and Fisherman’s Flea Market is the perfect tune-up for fishing season, with all kinds of outdoor activities, demonstrations and instruction. 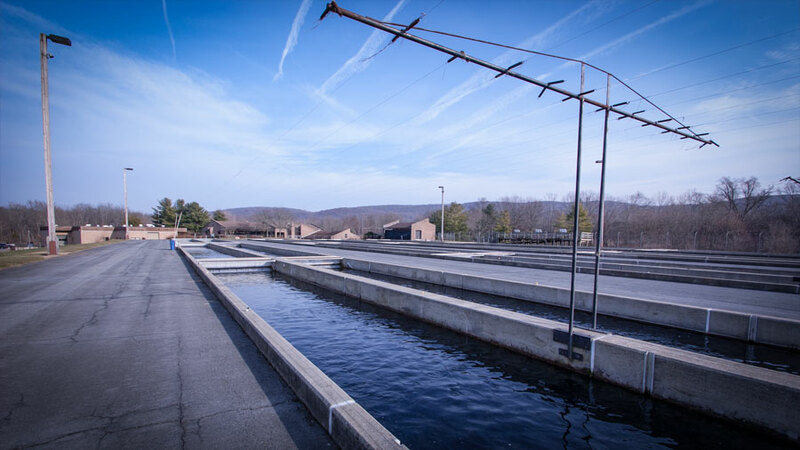 Pequest began operations in 1981, when trout production was transferred from the Charles O. Hayford Hatchery in Hackettstown, the only other state-run hatchery in New Jersey. With the exception of those grown by private facilities, every stocked fish in the state was born and raised in clean, fresh water from Warren County ground. At Hackettstown, that water flows directly from underground springs at the rate of 1300 gallons per minute to support the growth of over five million fish (a record number in 2017) each year, including northern pike, walleye, muskellunge, channel catfish, largemouth bass, and hybrid striped bass. 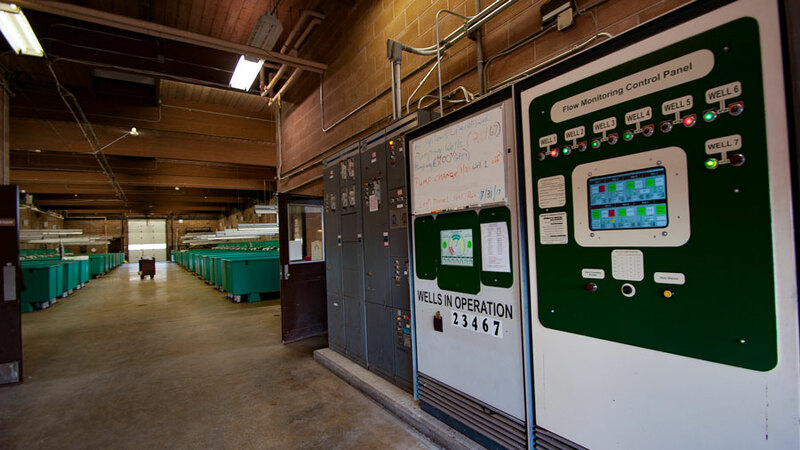 “We’ve even supplied six neighboring states with fish, including New York which has thirteen hatcheries of their own,” explains hatchery superintendent Craig Lemon. “All our current programs began with eggs from New York and Pennsylvania, so we’re giving back now.” The hatchery also sends northern pike to Massachusetts, while they have provided landlocked salmon for an exciting new venture. “We quit stocking lake trout because natural reproduction had taken over so we had some room and started bring the salmon back here to raise bigger to fourteen inches,” says Lemon. “As soon as we started stocking them, the anglers started catching them.” Warren County anglers can now hunt salmon averaging eighteen inches in Tilcon Lake, near the Musconetcong River at Waterloo Village, and perhaps Merrill Creek Reservoir later this year. Merrill Creek, the county’s largest impoundment, which reaches depths of two-hundred feet, already contains an impressive population of finned monsters, including the deep-running gigantic lake trout, big brown trout, largemouth and smallmouth bass. Two of Warren County’s smaller lakes — Furnace Lake in Oxford and Mountain Lake in Liberty Township — are home to an outsized number of outsized trophy fish. Last year, the hatchery stuffed Furnace with thousands of channel catfish, muskellunge and tiger muskies (a hybrid of true muskellunge and northern pike that grow quickly to weights approaching thirty pounds). 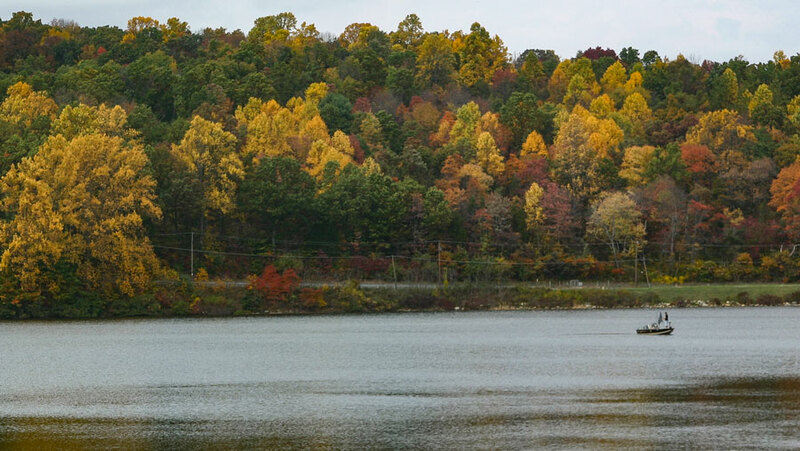 For prize largemouth bass, Delaware Lake in Knowlton Township is one of only three lakes in the state designated as “lunker bass lakes”, where there a fifteen-inch minimum size regulation assures the availability of more quality-sized fish. 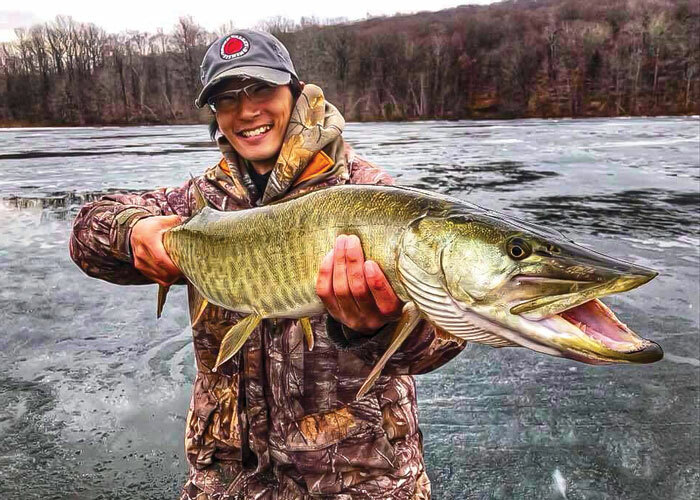 Zach Merchant found this muskie under the ice on Mountain Lake. 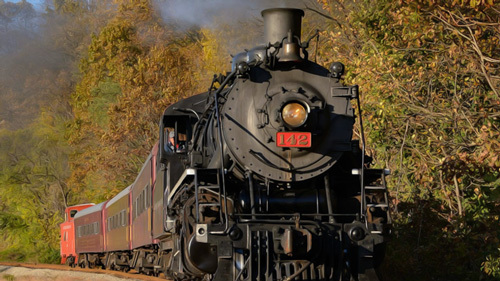 Warren County is flanked by the river valleys of the Musconetcong and Delaware, and traversed by the Paulins Kill and Pequest. These, along with dozens of streaming tributaries, offer fishers endless delights, although some prefer the solitude of spring fly fishing along a handful of tiny creeks designated as wild trout waters. Besides the nimble rainbow, plenty brookies and browns still swim those big rivers which flow through a progression from rugged terrain to the north and west to the gentle farmland of the east and south. The scene on opening day is trout fishing mayhem, but the occasional falls along the inland rivers become serene as the season progresses and you are more likely to find yourself alone. Natural bait, artificial flies and lures catch fish year round. You can always count on a persistent rock bass or sunfish to rise on a fly or two when the trout aren’t interested. Our 2014 family vacation on Long Pond, Mount Desert Island, Maine, seemed to promise better smallmouth bass than any my son and I had caught, but although we paddled and cast likely locations along the lake’s seven-mile length, no bass weighed more than any we had caught in New Jersey during previous summers. We returned home to Bedminster. The next day I took Matt to the Paulins Kill in Warren County. The irony! Where we fished, the river’s flow pulses with little more power than a creek. Both of us broke records here in our home state instead of in Maine. My bass weighed about an ounce more than four pounds. Matt’s, about three-and-a-half, perhaps slightly heavier than a smallmouth he had caught on Lake Hopatcong. The month of August is always productive for smallmouths, although we have not always caught big ones. But in the Paulins Kill we’ve encountered bass we didn’t hook, estimated bigger than any we’ve bank-sided yet. During the spring and early summer, the river fishes well for trout. Our experience includes only one brown trout some years ago, caught on a fly rod, though I’ve caught dozens of rainbow trout on salmon eggs in Warren County’s Pequest River. A friend, Mike Maxwell, has fished a Paulins Kill spot near road access during April with an ultra-light spinning outfit and salmon eggs, catching many rainbows. 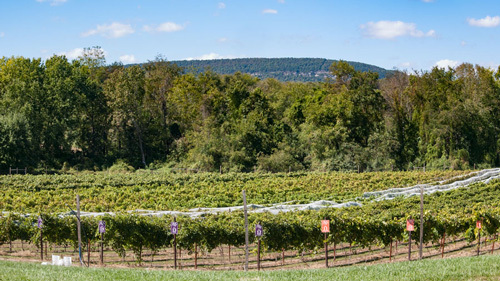 Hand-crafted wines fermented, aged, and bottled at our family farm in the heart of the scenic Delaware Water Gap. In addition to wine tasting and sales, we offer indoor and outdoor rentals as well a full catering services for up to 250 guests. Nursery propagated native plants available wholesale or retail by appointment. Our plants are chemical-free and local provenance. 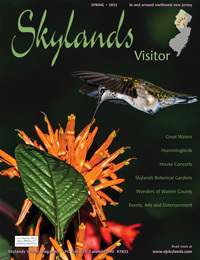 Consulting and growing services, presentations, guided walks.